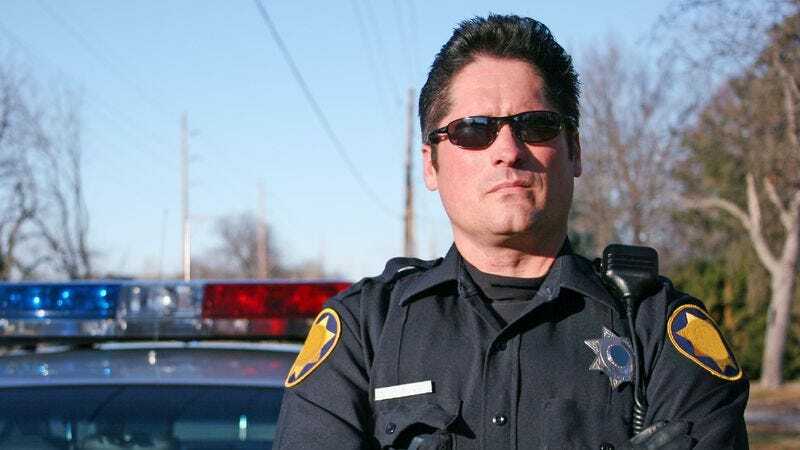 FORT WAYNE, IN—Explaining that his sole concern is serving and protecting his community, Fort Wayne police officer Vincent Turner told reporters Wednesday that he does not see any difference between black and light-skinned black suspects. “As an officer of the law, I am committed to administering justice swiftly and even-handedly, regardless of whether the suspect has dark skin or really dark skin,” said Turner, adding that he has no problem giving a full pat-down to any potential criminal or hauling them down to precinct headquarters in the back of his patrol car, even if they are more of a light mocha color. “When you’re responding to reports of gunshots fired, or sprinting down an alleyway, you’re not thinking about where the suspect falls on the spectrum of African-American skin tones—you’re thinking about doing your job. Heck, the guy could be a very dark-looking Latino, for all I care—I treat every one of them the same. He’s still just a suspect to me.” Turner added that his dedication to upholding the law stems from a belief that all local residents should be able to walk their streets without fear, whether they come from an affluent white neighborhood or a working-class white neighborhood.